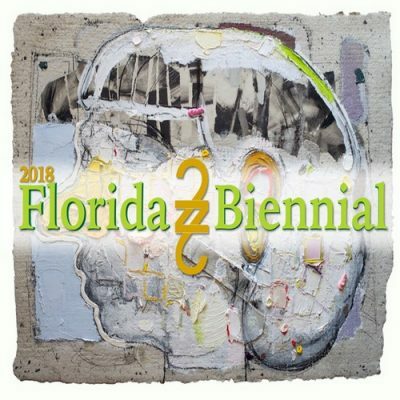 The 2018 Florida Biennial presented by the Art and Culture Center/Hollywood is open to artists residing in the state of Florida working in any medium. This ninth edition focuses on exploring multicultural identities, discussing ecological issues, and imagining a robust cultural climate for Florida within the global economy. The exhibition opens September 14 and will run through Oct. 21, 2018. For the first time in our history, all selected artists will be awarded a stipend to refund their submission fee to defray exhibition costs, as well as a Friend-level membership. The membership is part of the North American Reciprocal Program, providing free admission to nearly 1,000 art and culture institutions. Laura Marsh is the Center’s Curator of Exhibitions. She has a wealth of curatorial experience along with a history of event programming, grant writing, and teaching at non-profit galleries and museums. Marsh has a Masters of Fine Arts from Yale University School of Art in Sculpture; and a Bachelor of Fine Arts from in Painting from the Cleveland Institute of Art. She’s a current artist-in-residence at ArtCenter | South Florida. Marsh has exhibited nationally at venues including Locust Projects and Dimensions Variable in Miami, The Whitney Museum of American Art, Printed Matter, Field Projects, Newman Popiashvili Gallery, and Tilton Gallery in New York. She’s attended residencies in Buenos Aires, Argentina and Beijing, China, and Siena, Italy among others.